I already opend a support ticket. To me it looks like Webroot Filtering Extension can't handle the many external links that are embedded. Have you got the latest updates from Microsoft Updates installed? And if you have opened a Support Ticket will you let us know if that helps because we all are Volunteers here helping others the best way we can. We do have alot of knowlegable Forum members here like Baldrick and TripleHelix! So come on back and join us!! Sorry, we could not find any content for this web address. Please check the URL. If you are an Acquia Cloud customer and expect to see your site at this address, you'll need to add this domain name to your site via the Acquia Network management console. Could there be something specific about that site (and the others that you are having issues with) and WSA? DO you have any other examples of sites exhibiting the behaviour you have seen/are reporting? All pc's are up to date. Support ticket open. Nothing particular about the site. The problem happens on any site's with a lot of contents. No problem. Thanks for correcting and reposting. Have just tried the new link and I have to say that I was fairly zipping around the various pages under IE11 with the filtering extension enabled, so am not sure what the issue is. It could be that the extension is not properly installed...although I find it starnage that this would be the case on all four PCs, so perhaps the next thing to try is to download a fresh copy of the installer, uninstall WSA, REBOOT, reinstall using the fresh installer copy (making sure that you do not import any previous settings if offerred), REBOOT again, and then see if that has improved things for that PC compared to the others. Other than that please provide other examples of sites exhibiting the behaviour you have seen/are reporting, and I will check some of those out too. Thanks for those...I use bleepingcomputer extensively and have never suffered any slowdowns in browsing with IE11/WSA...am just checking out the Guardian website to see if I can spot it being any slower on IE11 than when browsed with Chrome or FF. And gues what, I'ts works. The web layout is not correct, but no problems with the filtering extension. 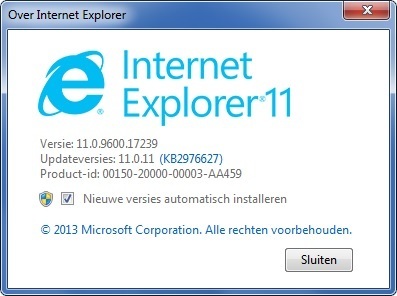 And like I already posted I'm up to date with Windows and IE11 updates. Hi Buddy can you tell me what OS you are using and if it's 32bit or 64bit? 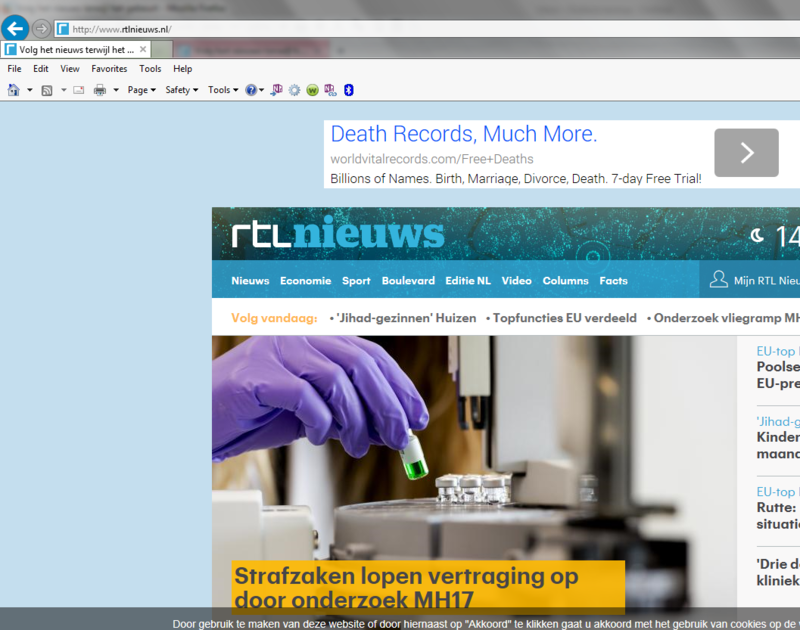 No problems here on Win 7 x64 with IE11. Did you try a clean reinstall of WSA? But with my cellphone I recorded my problem. Two mp4 files......and I'm not Steven Spielberg ..
One is almost 20mb and the other almost 12mb. As this has been an on and off again problem for me as well,the clean reinstall seems to do the trick.The only time i sometimes ran into issues in the past is when i have to uninstall WSA for sake of Beta testing gaming software,and upon reinstall of WSA,i guess for some reason the filtering extension install is glitched in some fashion and hence exhibits the aforementioned behaviour.Strange how glitchy windows can be sometimes,especially 8.1.You can uninstall the same piece of software 1 time and it will leave certain remnants behind,and another time it won't leave those same remnants behind.I can see why some opt for an OS other than Windows.Hopefully microsoft does it's homework with windows 9. Also Webroot is looking at a better way not quite sure what but they are and hopefully it will solve all the issues like with Chrome forcing users to go to the Google Chrome store to install Web Threat Shield. Maybe it could support other browsers as well that would be nice! Also if anyone has problems with Chrome that's what I do to get the extensions installed as well! Drag & Drop. Well you can read between the lines as you know you can't stay online during Reboot. It has to be online to Uninstall correctly and to Install correctly! I fixed it! Is it better now? - Hello, Thank you for contacting Webroot Support. In order to address the issue you reported, please uninstall and then reinstall Webroot SecureAnywhere using the special steps below. ... Basic uninstall and removing any leftovers. At this point Btw....I see more and more topics with Webroot Filtering Extension problems...what's the next step for a costumer with 2 licenses for a total of 6 pc's with more than 500 days left. At this moment I have decided to stop using any webroot product. Are you sure that support can't help you? I know you have been using WSA for quite a while and hate to see you go I can ask @nic to look into your Ticket to see what is happening! Please keep working with us!